A new academic year has begun and with it came new opportunities for growth and development for the student body. NorthGate College (NGC) continues to fulfill the mandate to raise up leaders and a practical expression of this reality is through the induction of Student Leaders. This is seen as an opportunity to embed within our students the capacity for accurate, values-based leadership. 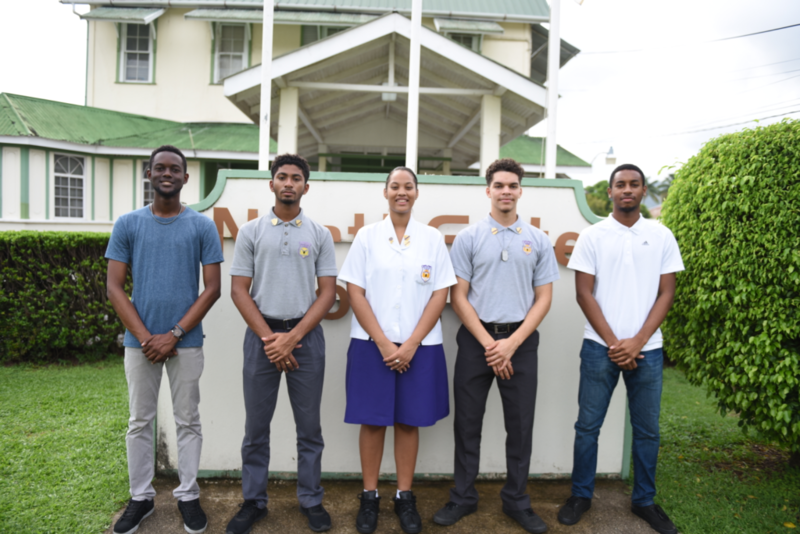 At the Student Leadership Induction Ceremony, the student body was charged with the relevance and importance of the appointment of leaders within the school community. As Dr. Marlon Jameson, co-Chairman of NorthGate College gave context to NGC’s Leadership mandate, he defined leadership to the student body as “… to know what is correct, to stand for it and lead others in that direction.” It was made very clear that tremendous responsibility is not only placed on the appointed leaders to walk in the values taught but also in the student body’s ability to give of their commitment to the upholding of the same values and standards. As stated by Dr. Jameson, “The responsibility to live up to a standard is not determined by a badge that is worn, but it is the responsibility of everyone.” For the appointed leaders, it will be a time of training and development and for the student body, an opportunity to grow in strong and accurate follower-ship. Director of Northgate College, Yolande La Pierre declared to the selected leaders, “we have seen diligence, accountability, self-governance and humility in you, and we now call you before the student body and charge you to lead by example on a student level!” The student body expressed their undeniable agreement with emphatic cheers and applause for each leader chosen, further validating their appointment. Present were past student leaders that attended the ceremony as a show of support and encouragement. The newly appointed leaders were the very same students who walked in accurate follower-ship that the past student leaders led when they served! 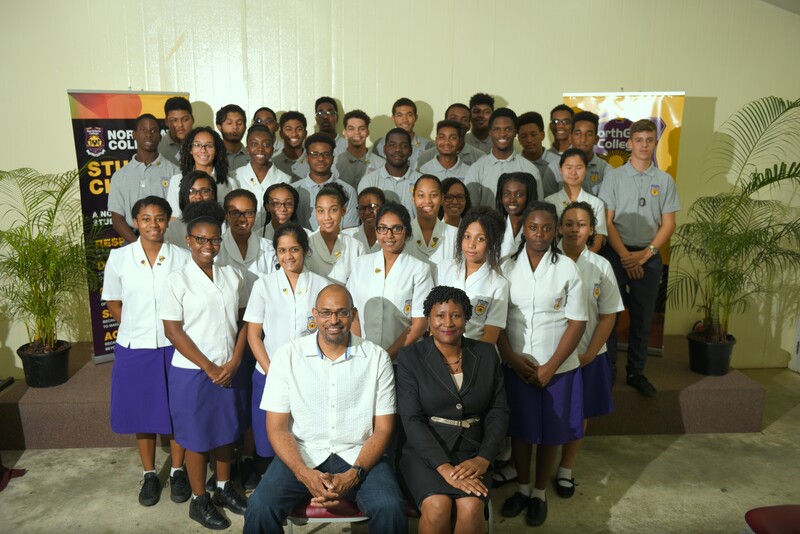 At the ceremony, these past students were able to witness the fruit of their sacrifice when they displayed knowledge of what is correct, stood for it and led others in that direction. 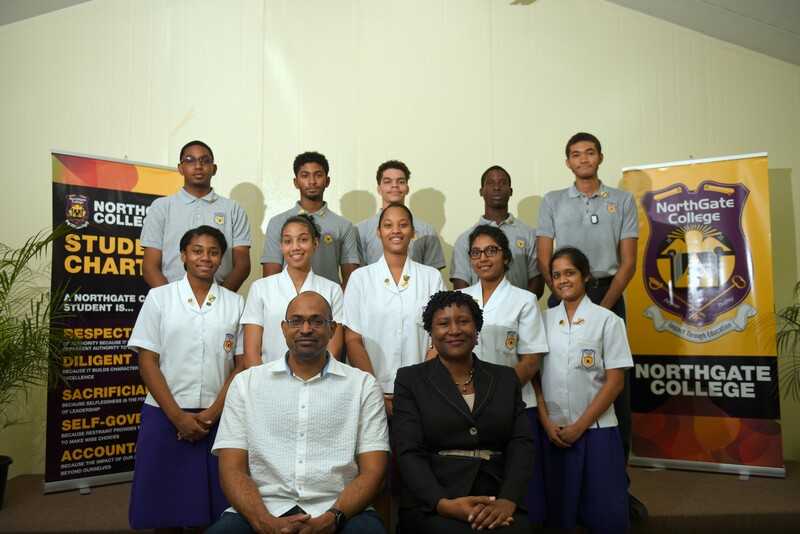 They have passed on the baton to an eager and vibrant group of young people who are committed to raising the standard of leadership and ushering their fellow schoolmates that accurately follow into the same mandate. Copyright 2017 NorthGate College . All Rights Reserved.